Now that the eclipse has opened our eyes to the effects of lighting, we may be all the more mindful about the kind of exposure we experience indoors. Techies already know, of course, a dimmer work desk eases the strain that staring at a screen all day causes, but there are other ways we may improve our overall health with lighting too. 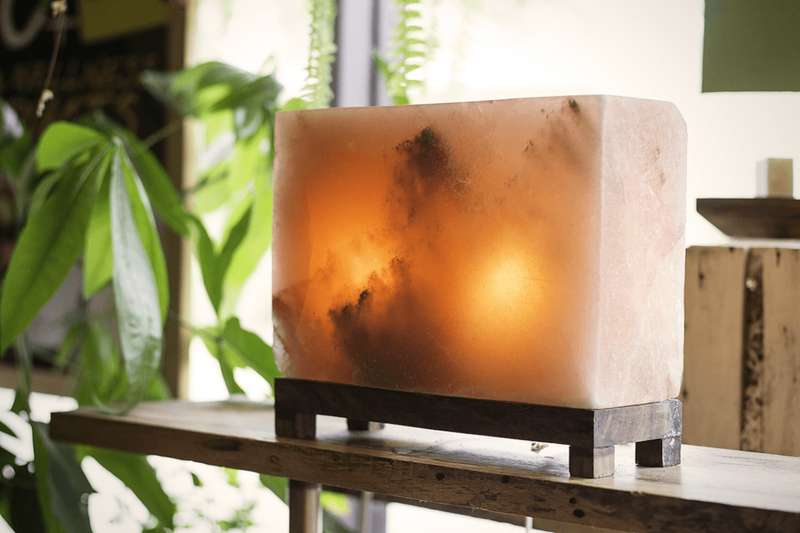 Just make sure you're going with an ethical Himalayan Salt Lamp company before you deck out your abode in these gorgeous glowing lamps. 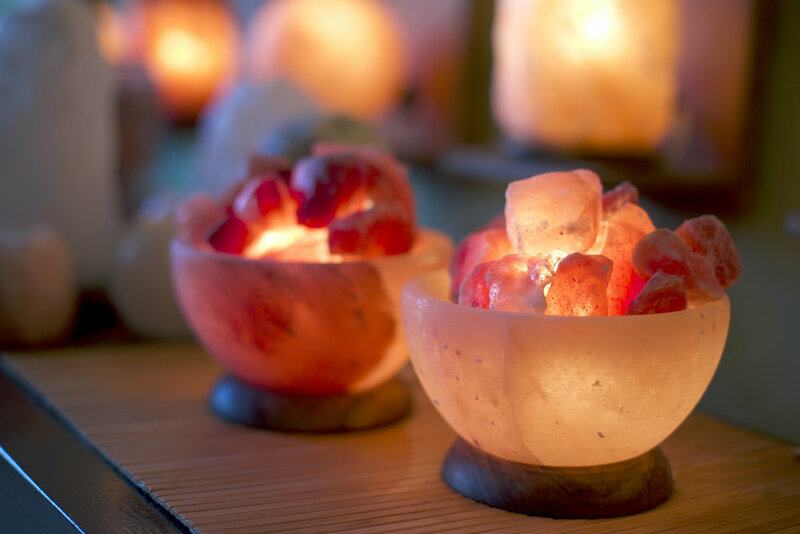 The So Well Made salt lamps company, for example, cultivates decorative and healing pieces straight from the Himalayas, using a fair trade practice. Each lamp is carefully handcrafted from solid salt crystal that has remained untouched for millions of years to benefit the aesthetic of our home and office space and employs some very real science (electro magnetic fields and ionization) to quell stress, calm skin conditions, and cleanse the air. Even better, a portion of the proceeds from their vast selection goes towards non-profit causes like PETA, ASPCA, and the Warren Park Food Mobile Program. (Thumbs up, guys). For those who live in apartments, we know, it often feels like living in a cave. The natural lighting is scarce, even if we have a balcony (surrounding buildings may be blocking the sun). 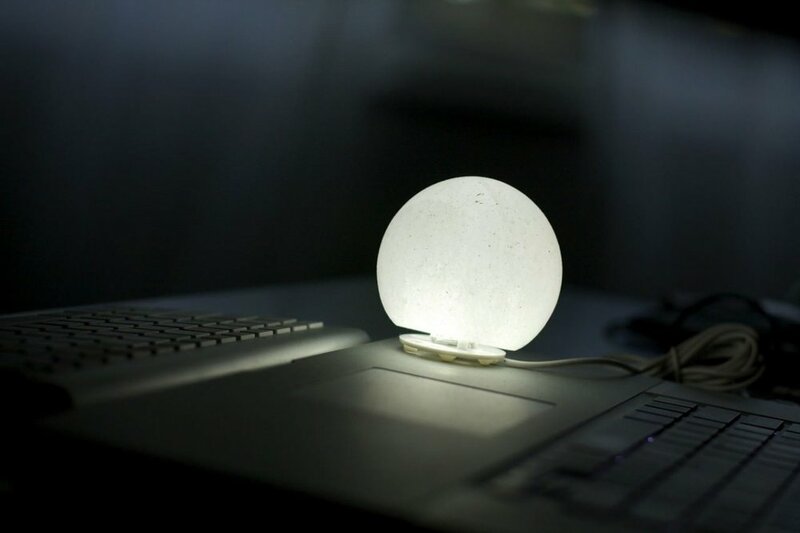 Thankfully, the Computer Himalayan White Globe is a nostalgic look at a moon-like light that helps to neutralize the electromagnetic radiation from our home computers and mobile devices. If you're looking to dress up a table top or night stand, the fire-inspired shape of the Moroccan Style adds a touch of flare, and the Raw Salt Light (available in amber, grey and white) offers an au naturel look. The latter uses feet instead of the wooden base visible on the other lamps. The XL Grey Raw Salt Light accents the bedroom and eases sleep with a 15-watt bulb. This one weighs in at 16 - 20 pounds! Refresh your air with the scent of a cool ocean breeze. The Amber Aroma Salt Light uses essential oils to emit a gentle reminder of being on the beach. Aromatherapy may not be the best idea for a shared space, but these Zen Rectangles, Cubes and Pyramid lamps make for a good "water-cooler" talk piece and are an interesting way to let in some light without flipping on the fluorescents. It's also easier to keep clean of the "sweating" that occurs in the raw form of the salt lamps. The less maintenance means the more time you have to focus on the tasks at hand. It's also easier to keep clean of the "sweating" that occurs in the raw form of the salt lamps. The less maintenance means the more time you have to focus on the tasks at hand. Some of the Raw Salt Lights also come with a decorative wooden base and grouped together make for a lovely display. The largest size (XXL) is 35 pounds+, the smallest is 2 - 4 pounds, and each of them helps to neutralize the office air, where we may be prone to struggling with allergies. When designing for your office, be mindful that the white ones give off more light, meaning they are more energizing, whilst the amber and grey are more soothing. Go for the Serenity Salt Bowl to stay fashionably un-frenzied in a high-stress environment. So Well Made is one of UWM's stellar partners. Some affiliate links are included in this article.